SoftBank retail stores are currently using Flight System Consulting's multi-function mobile payment terminal Incredist Premium with iPad as their main customer service terminals. This solution enables efficient customer service through its integrated features, where a single unit can read credit card information, write on USIM card, verify FeliCa mobile wallet and also process Apple Pay transactions. SoftBank retail stores perform mobile phone registrations and sell related accessories.Normally at such retail stores, you would expect to see different kinds of electronicdevices spread out on customer service counter. However, when you visit any of theSoftBank stores, you will be surprised how neat it looks, nothing on the counter. You will feel like you just stepped into a café. How is this possible? The answer is iPad and Incredist Premium, Flight SystemConsulting's hand-sized multi-function mobile payment terminal. These two units cover a wide range of operational needs that previously required several devices.iPad with Incredist Premium can handle all the operations including credit card registration, bank card deposit registration, product barcode reading, T-point card reading, USIM card writing for mobile phone registration, and processing of mobile payments using contactless payment technology FeliCa. In the past, in order to handle the above operations, a store had to carry up to 11 different types of electronic devices and those were occupying valuable space at the customer service counter.On top of all those devices, each retail store carried spare units for emergency back-ups which were taking up additional space. In 2013, SoftBank launched a new store renovation plan, replacing all the conventional Windows PCs and peripheral equipment with our Incredist. 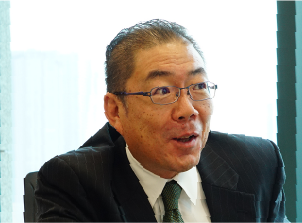 "I wanted to centralize all the operations in one terminal" said SoftBank's Senior Vice President, Mr. Yoshiaki Sakuma. Incredist connects with iPad wirelessly via Bluetooth and processes high-level operations including credit card payments. iPad and Incredist brought a drastic change to the store operations workflow. It accelerated the speed of customer service compared with the time when retail staff were using PCs. PC-based service limits the number of customers they can handle at the same time due to the space restrictions at the counter. iPad and Incredist are truly portable thanks to their friendly size and battery power source. This "new powerful weapon" improved the service efficiency and provided more freedom to customer care, resulting in the shortening of service time and greater customer satisfaction level. 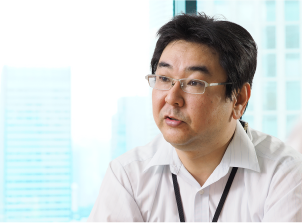 Mr. Hiroyuki Ishimaru (Vice President, Deputy Head of Customer Care & Operation Division) enthusiastically states, "Our SoftBank store staffs now approach customer service with a completely different mindset, owing to the portability of the versatile terminal." It was the latter half of 2012 when SoftBank expressed a great interest in the Incredist product. The solution was not yet launched publicly at the time, and SoftBank was in the process of installing GINIE (contract system). 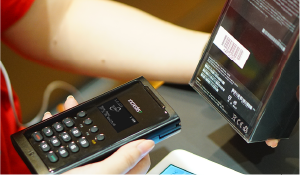 What caught their attention was that Incredist is a unique multi-function payment terminal which can connect with iPad wirelessly and process magnetic stripes, Contact IC Card (EMV), and Contactless IC Card (FeliCa) as well as being equipped with a two-dimensional barcode reader. Incredist has the certification issued by Japanese Bankers Association (JBA), which is the industry requirement for bank card reading and withdrawal registration. 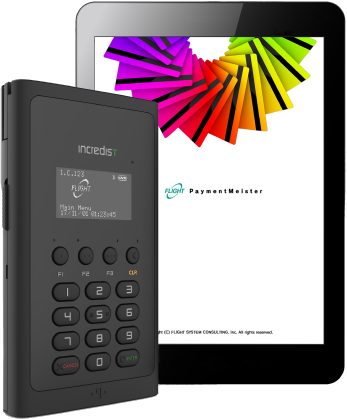 Incredist was the first ever certified multi-function payment terminal incorporating wireless connection with iPad. What makes it interesting is that SoftBank 'invented' a new use of Incredist. SoftBank proposed that Incredist should support USIM card and mobile wallet payment technology (FeliCa). 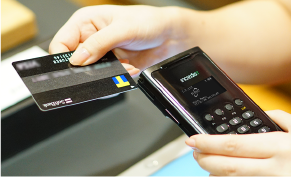 SoftBank was confident that Incredist would be able to accommodate the new requirements with the existing Contact IC Card reader and additional FeliCa functionality. The USIM card and the Contact IC Card share the same Smart Card specification.SoftBank's engineering team started working with the original developer Flight System Consulting for the new software development with successful results. In March 2013, Incredist became the device we see today: the evolutionary solution that can replace PCs in retail stores. In March 2016, three years after from the release of the original Incredist, Flight System Consulting launched a second generation model "Incredist Premium". Same functions as the original model but much smaller in size. It is similar to smartphone which can comfortably fit in a pocket, measuring in at 66 x 120mm and weighing only 170g. Adding a dedicated battery cradle was another significant user- friendly improvement. The original model used a battery cable, which was at risk of damages caused by impact such as dropping the unit, leading to cable or connector breakage. 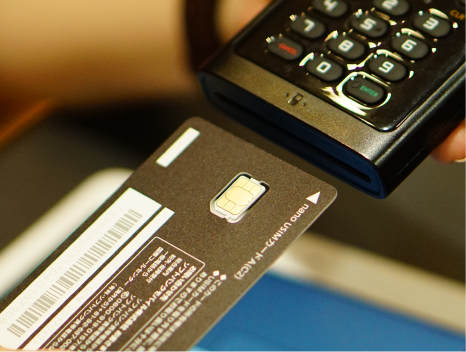 In addition, Flight System Consulting has upgraded Contactless IC Card Reader to support NFC payment. Incredist satisfies PCI-PTS, the security standard for credit card payment terminal, and this adds another layer of reliability. 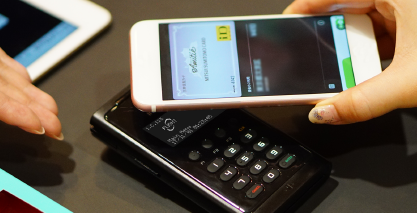 "Apple Pay" was introduced to the Japanese market in October 2016. Incredist Premium was already ready set to deploy from Day One. 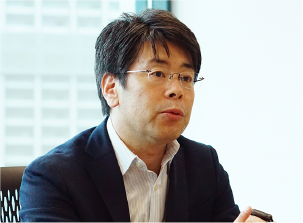 Mr. Sakakibara also commented as "During the process of Apple Pay adoption, Flight System Consulting, a pioneer in payment business, was a huge help for us". Converting a terminal to make it Apple Pay compatible is not an easy task. We had to update the firmware installed in the existing Incredist Premium and also to install an encryption key, which is mandatory for a payment center to process Apple Pay. At the time, a majority of SoftBank stores were carrying iPad and Incredist Premium. In general, a commercial payment terminal vendor will collect terminals, send them back to the factory to perform the firmware upgrades. However, in such case as SoftBank who have a large number of retail stores throughout the country, this collection method was not ideal. It would incur considerable time and cost, which would have a negative impact on customer service. Incredist Premium, on the other hand, has a feature that enables the software update on-site. Flight System Consulting made it easy for the end user to update software and install the new encryption key to Incredist Premium using an existing iPad. This was successful and all units were ready from the first day of Apple Pay release. The development was an absolute success. In addition, Incredist series has a feature to store a multiple encryption keys. Flight System Consulting has the patent for this feature. With this feature, a single terminal can store up to 15 encryption keys, allowing connections with multiple settlement centers. This means that a terminal can expand its compatibility with any type of future SoftBank payment methods and also provide connectivity with new payment center partners, just by simply switching applications on the iPad. Again, a new encryption key can be installed securely on-site at each retail store. 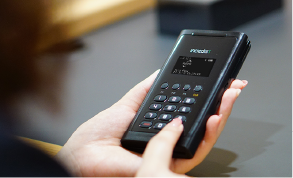 SoftBank will start a new program using this highly versatile payment terminal,Incredist Premium. They plan to bring ID verification to an evolutionary level. A retail store requires each customer, who signs up for a new mobile phone contract, to verify his/her identity with a driver's license. Incredist Premium will step into this verification process and verify the authenticity of the customer's driver license by scanning the license with its Contactless IC Card reader. This will provide a very effective tool for preventing fraudulent activity. SoftBank was able to go through a successful retail store renovation using iPad and Incredist. Their customer service counter had all PCs removed along with all the related peripheral electronics, making the store look more spacious with simplified elegance. The portable aspect of the terminal created a streamlined workflow. Now a staff member can approach a customer and cover a wider range of services more efficiently. iPad and the accompanying Incredist series are essential for supporting the retailer's daily operations. "The main goal for adopting iPad and Incredist was to shorten the customer service time" he explains. "With this portable set, a staff member does not have to be at the service counter. Rather, they can directly approach customers waiting in a queue. If a customer comes with family members, we can have them sit at the table and explain our services in more relaxed environment. Incredist series has reshaped the operations and store environment, leading to an increased customer satisfaction level." "No longer tied to the service counter, our SoftBank store staff's mindset has evolved, owing to the portability of the versatile terminal. Incredist series helped our staff improve their efficiency and elevate customer service to the next level. Furthermore, the new Incredist Premium is smaller and lighter, providing a greater ease of use." Incredist series was the only terminal that can operate with iPad and meet all the SoftBank's desired functions. It supports USIM card, FeliCa, and now Apply Pay. Four years have passed and Incredist series is still the one and only high-level multi-function terminal. A Japanese multinational telecommunications and Internet corporation. mobile phones, fixed-line telecommunications, and Internet. ＊Apple Pay is a registered trademark of Apple Inc. TM and © 2017 Apple Inc. Allrights reserved. ＊FeliCa is a registered trademark of Sony Corporation. ＊Osaifu-Keitai (mobile wallet) is a registered trademark of NTT Docomo, Inc. ＊Bluetooth® is a registered trademark of US Bluetooth SIG,Inc. ＊Other names of products and services mentioned in this document are registered rademarks for each relative company.